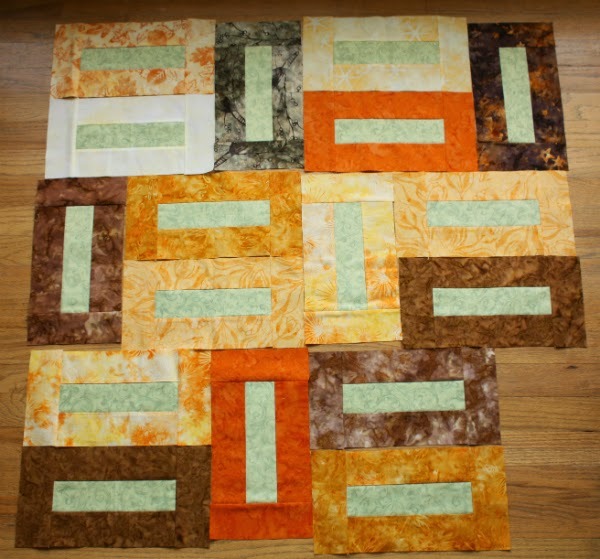 I've finally decided on a quilt and cut into the jelly roll of batik fabrics Paul bought me a couple of months ago. 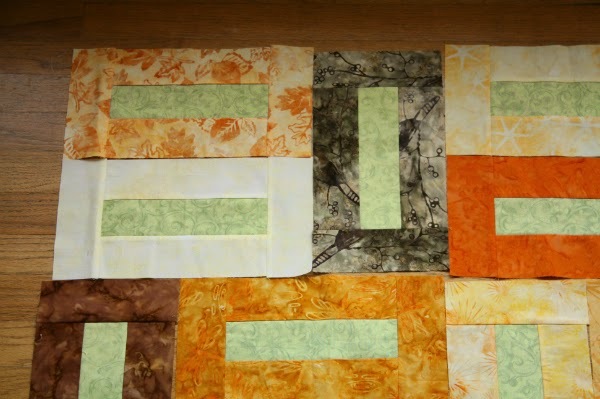 I'm making the Walk in the Park quilt, designed by Ellie Roberts of Craft Sew Create. This is a free pattern on Craftsy. So far I've made 17 of the 45 blocks. There will be more variety in the colours as I make more blocks, with lots more greys and browns. So far, the grey fabric in this top block is my favourite. 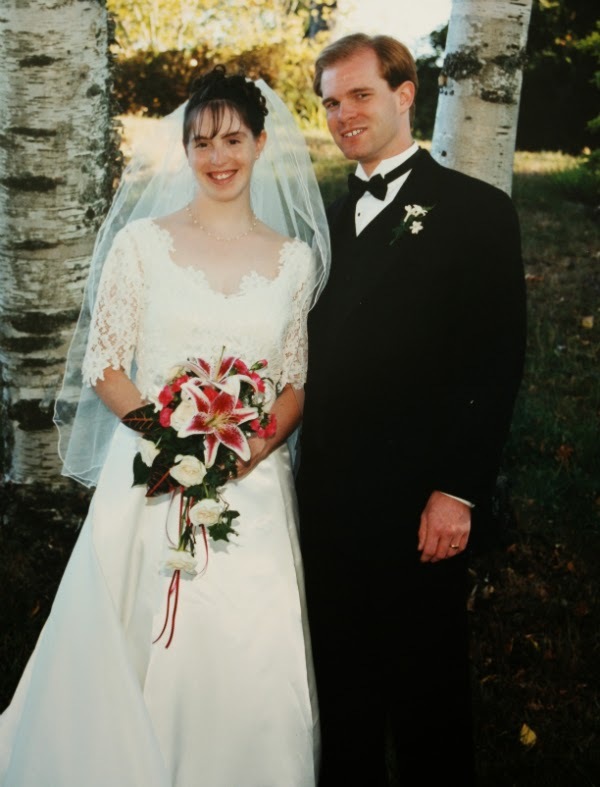 On a completely unrelated note, this coming Thursday will be our 15th anniversary. 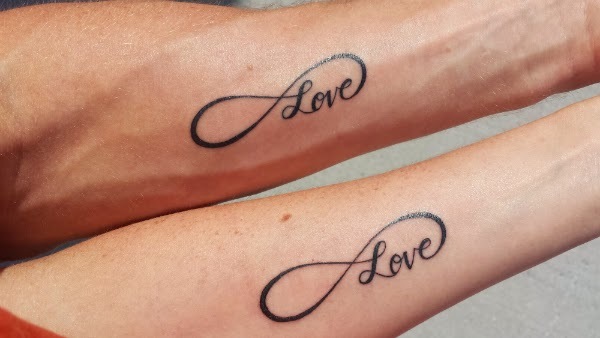 To celebrate, we decided to do something totally out of character for both of us and we went to get matching tattoos. We are really happy with how they turned out, and I was pleasantly surprised to find it didn't hurt as much as I was expecting. So, what's something you've done that could be called 'out of character' for you? Congratulations . . . we celebrate 43 years this Thursday. I guess I am too predictable . . . but I did accept an invitation to go to India once . . . then returned 8 times. Lovely! I like where you're going with this! Congrats on the anniversary, that's fantastic! Out of character - I just made a PINK quilt with flowers and everything. Crazy. Love how your quilt it turning out and very nice tattoos, was this your first tattoo? Your quilt is looking gorgeous, and congratulations on your anniversary! And good for you doing something out of character! We just had our 21 year anniversary and didn't think of tattoos! In fact I'm not sure when I last did anything out of character. I do quite often push myself slightly out of my comfort zone, to the point where you get nerves in your stomach, but it's always in an in character direction, just slightly further than normal in that direction. Perhaps I need to think about out of character a bit more too!